We — members of the Civic Solidarity Platform and the Sports For Rights Campaign — were relieved to learn that one of Azerbaijan’s most well-known political prisoners, Leyla Yunus, was released from detention yesterday and that that the Baku City Court of Appeal changed her sentence and that of her husband Arif into suspended sentences of 5 years, on probation. However, most of the charges against the couple have not been dropped and, while on probation, Leyla and Arif Yunus will not be able to leave the country. We remain seriously concerned about the state of health of Leyla Yunus, who has been diagnosed with diabetes and hepatitis C, and that of Arif Yunus, who suffers from high blood pressure. There are doubts that adequate medical assistance can be provided to Leyla Yunus in Azerbaijan. 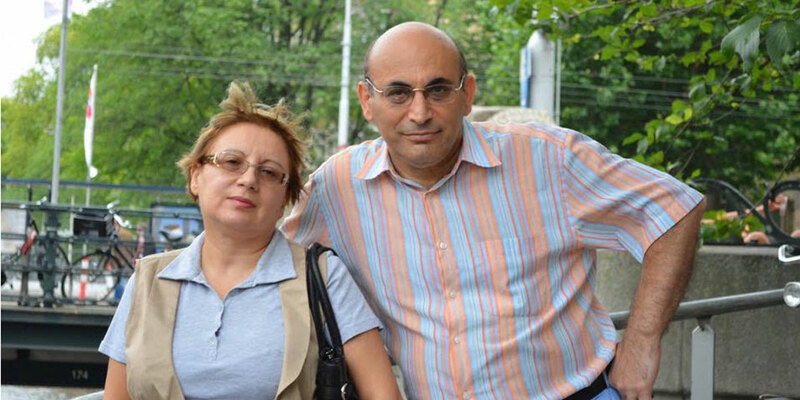 As part of the ongoing civil society crackdown in Azerbaijan, Leyla and her husband Arif were arrested in late July and early August 2014, respectively. On 13 August 2015, they were convicted on charges of large‑scale fraud and tax evasion. Leyla was sentenced to 8.5 years in prison and Arif to 7 years. While in detention, they were humiliated by police officers, put in overcrowded cells, beaten several times and deprived of much needed medical treatment. On 13 November 2015, Arif Yunus was released under house arrest on health grounds. When ruling to change the sentences, the court of appeal dropped the charges of forgery, but retained others. The court also lifted the order to seize the house owned by the couple. We, members of the Civic Solidarity Platform and the Sports for Rights Campaign, consider the new developments in the case of Arif and Leyla Yunus to be positive and a first step in the right direction. However, we continue to call for all charges against the couple to be dropped. Leyla Yunus requires an urgent medical examination and she should be granted the right to receive medical treatment abroad if necessary. Arif Yunus must also be provided with swift and adequate medical assistance. Leyla and Arif Yunus are not the only political prisoners in Azerbaijan. Dozens of other civil society activists, human rights lawyers and journalists remain in detention or prison in Azerbaijan solely due to their professional activities and the peaceful and legitimate exercise of their fundamental rights and freedoms. They should be immediately and unconditionally released. The Azerbaijani government must respect its commitments before its own people, as well as its obligations under international human rights law.